Trendy Girl Plushie. Softie. Felt Doll. 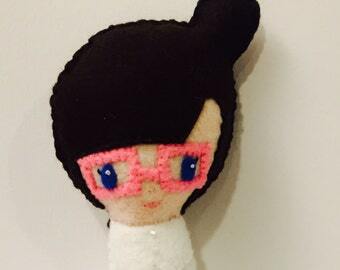 Hipster Girl Plushie. Softie. Felt Doll. PDF PATTERN: Bunny Girl. Instant Download. Softie Pattern. Plushie Pattern. 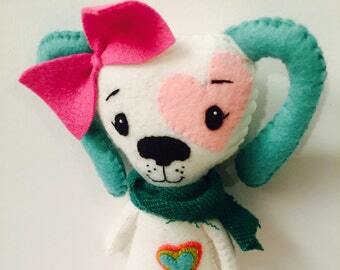 Felt Doll Pattern. Announcement Handmade felt, plush, and wooden dolls, ornaments, and more! *******LIKE******** me on Facebook to get the latest updates and sneak peaks at what I am working on! Handmade felt, plush, and wooden dolls, ornaments, and more! Custom Felt Matryoshka (Babushka) Doll Ornament. Christmas Ornament. Holiday Decoration. Kindness Pixie Elf. Custom Elf Pixie Doll. Bendable Elf Doll. Christmas Decor. Knee Hugger. Plush Doll. Gingermelon. Felt Matryoshka (Babushka) doll. Nesting Doll. Magnet. Ornament. Three Little Pigs. Plush Doll. Animal Stuffed Doll. Softie. Gingermelon. Felt Matryoshka (Babushka) Doll Ornament (SET OF 4). Christmas Ornament. Holiday Decoration. Plush Poseable Garden Girl Doll. Plush Doll. Softie. Noia Land. Custom Christmas Tree Girl Ornament. Christmas Ornament. Clothespin Doll. Unique Ornament. Patsy the Elephant. Elephant Plushie. Pocket Pal. Gingermelon. PDF PATTERN: A Splendid Tale, Fairy Doll. Instant Download. Softie Pattern. Plushie Pattern. Felt Doll Pattern. Gnome Doll. Gnome Plushie. Woodland Doll. Softie. Felt Doll. Pirate Plushie. Softie. Felt Doll. Owl Girl Plushie. Softie. Woodland Owl. Felt Doll. Poseable Deer Girl Doll. Woodland Animal. Animal Softie. Plushie. Noia Land. Tree Girl Plushie. Softie. Felt Doll. Puppy Dog Plushie. Softie. Felt Doll. Victorian-Inspired Girl Plushie. Softie. Felt Doll. Heart Ornament. Handmade Felt Ornament. Embroidered Ornament. Christmas Ornament. Vintage Inspired Reindeer Ornament-Set of 4. Christmas ornament. Deer ornament. Girl Plushie. Softie.Piggie. Felt Doll. Lots of clear instructions I am looking forward to making this. I want to order more just to see what color combos & designs Nona will create! I adore these ornaments so much!!! Prior to kids, I was always on the go; loved working as a Marketing professional, and traveled a lot. In 2009, after my second child was born, I decided to leave the professional world to begin the most challenging role yet. In that time, I planned many themed parties where I made many of the decorations, crafts, and favors for the guests. Many people told me how creative I was; that I should "do this for a living". This got me thinking. Not of event planning, but of my other interests and how I can start doing what I was passionate about and share it with others. I started sewing again, which lead to other crafts. A few years later, I am on ETSY and even in some local shops in my area. But the best part of all is I am able to do what I love while being home with the people I love most. What more could I ask for? By day, I'm a supermom to two awesome kids. At night, I'm an avid crafter, always looking for something new to create. Welcome to Min and Moots! All items in my shop are handmade by me, and no two items are alike! I want you to be completely satisfied with your purchase. You may return your item within 3 days after receipt if the item is damaged or you are not happy. Please convo me prior to sending back. Shipping costs do not include insurance. If you would like your package insured I will be more than happy to find out what the extra cost involved is and let you know. I always ship with a tracking number enabling both you and I to know when package was shipped to your destination. I cannot refund uninsured lost packages. I accept most major credit cards and PayPal payments at this time. Please note that buyers are responsible for any and all duties and customs charges that my be incurred. NJ Sales tax of 7% is assigned to each sale. Shipping fees are estimates based on previous shipped orders. Additional fees may be charged or credited based on actual shipping costs. I will notify you via email of any changes. I strive to ship as soon as feasibly possible! Many of the items in my store are custom made. Please allow between 5-7 days to create, depending on the item. I make EVERY effort to ship within 24 hrs after it is created. If, for any reason, it will take longer than 24 hours, I will let you know via email. All items are typically shipped via the United States Postal Service, using standard shipping. Should you need your order expedited, please contact me. Additional fees will apply for express shipping. Please note that all pieces are created by hand so no two items are alike. Always feel free to ask me any and all questions.